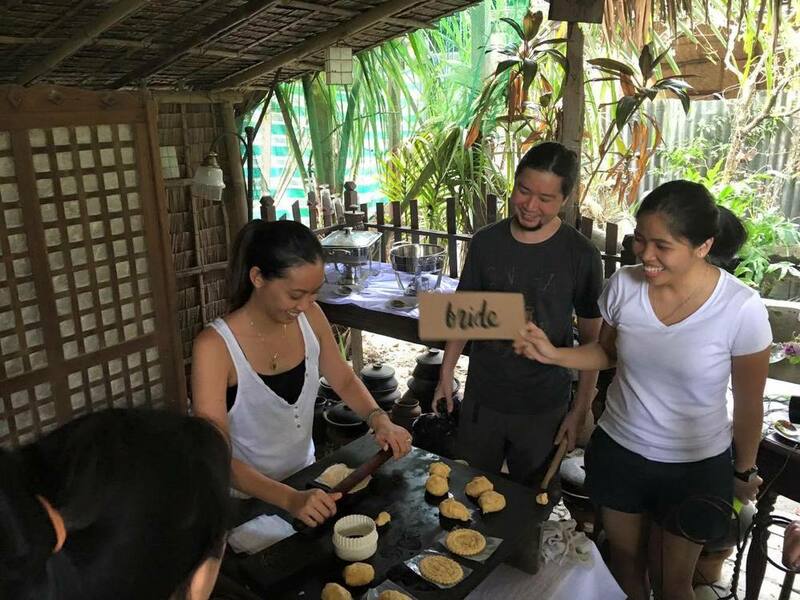 My wedding is just around the corner and amidst everyone's busy schedule, my Matron of Honor and Sis-in-law Kaye Olfindo, was able to squeeze in my "Bachelorette Party" in the form of a food tour! She was smart enough to book it months before the wedding to make sure we had time to lose all the weight we would be gaining from this mouth-watering trip (haha!). You get to share a huge banana leaf with your seat mates and eat with your hands! I mean, have you ever tried chicharon with atsara (pickled papaya)? Or buro (fermented rice sauce) OR ALIGUE (crab fat)?? It's Brilliant. Chicharon for breakfast - there's always a first time. We stopped at Koyang Mario's for breakfast and, boy, did we think we wouldn't last the day as different types of food just kept coming at us! 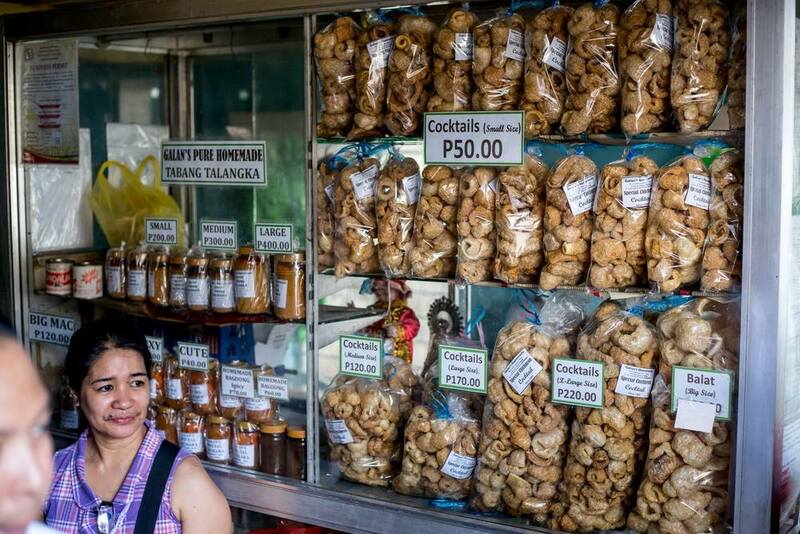 Longganisang Guagua, Lechon Pugon and Tsokolate with their homemade ensaymada are a must-try! Another stop was at the home of the Ocampo Lansang Delicacies at Sta. 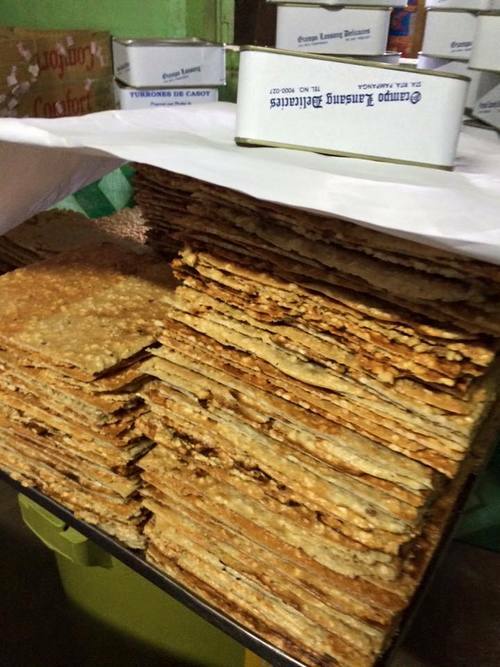 Rita, where one can find delightful nibbles such as their famous Turrones de Casoy (honey-casoy nougat bars in rice paper wrappers) and Sans Rival (stacks of cashew meringue with butter filling, topped with cashew shavings). 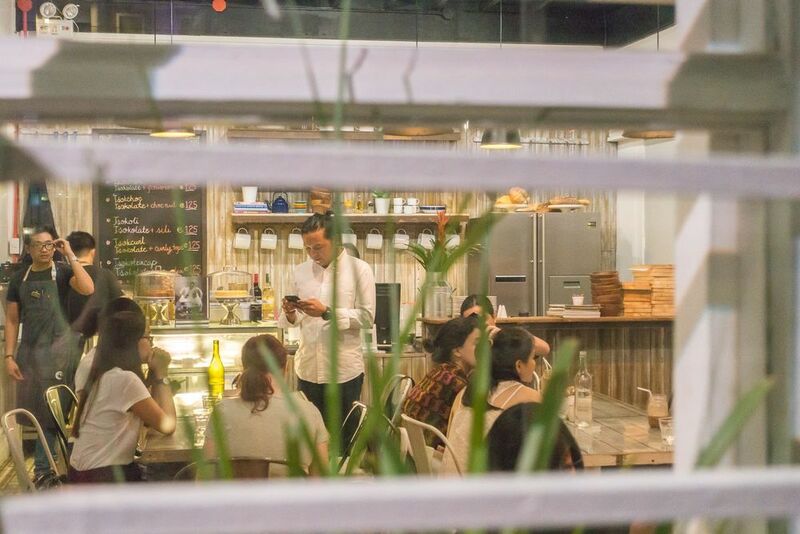 Established in 1920 by Felisa Ocampo-Lansang, it is now being run by her nephew, Ramon Ocampo. Through the years, it's the words they live by that keeps this business going - never change the recipe, no shortcuts, don't compromise. Due to excitement over Pope Francis' visit in the Philippines (Jan 2015) and to popular demand, she made a Pope Francis mold as seen on the upper left hand corner. Lunch was prepared by Aching Lillian Borromeo, who is not only famous for her Kapampangan dishes but also for her San Nicholas Cookies (in honor of San Nicolas de Tolentino, who is considered the patron of bakers). It was such a delight to have a baking class with her after. 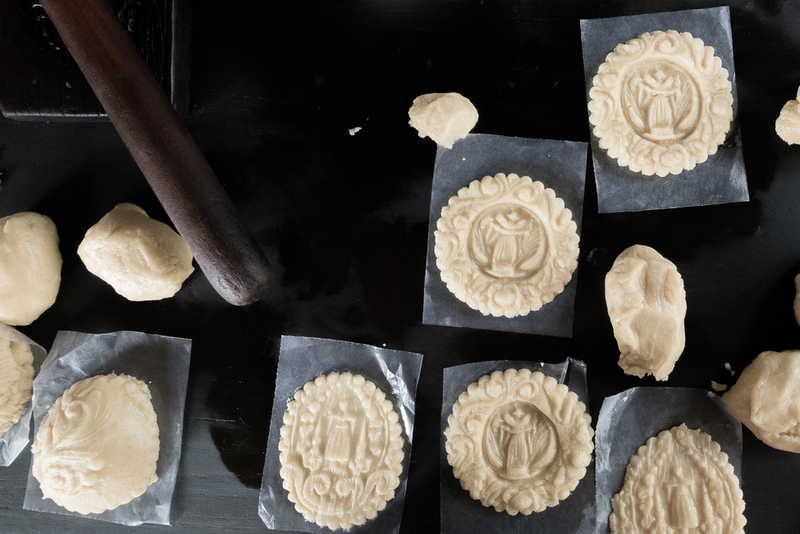 Beautiful and intricate wooden cookie molds are used to design these cookies made from arrow root flour. The molds are such art pieces to me, I'd want one to display at my home. Last stop was at Everybody's Cafe. The Morkon (pork meatloaf stuffed with cheese, chorizo de bilao, and duck egg) was surprisingly good as it just looked like normal meat roll to us. 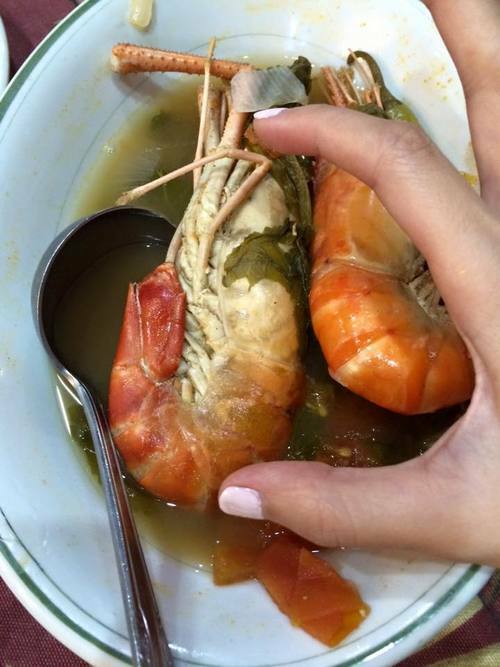 The Sinigang na Sugpo (tamarind soup with prawns and veggies) was just the perfect comfort soup after a long day of moving around. The Kamaru (mole crickets) were really good! For the squeamish ones, give it a chance! But the one "dish" that immediately disappeared was the Leche flan - made from carabao milk and duck eggs. So rich and creamy, it just melts in your mouth. Indulging on that dessert was the best way to end the day. Kamaru. Don't be afraid! The crickets taste like tapa... to me! Happy campers doing their best to tuck in those bellies! Photos courtesy of Miguel Olfindo, Kaye Olfindo, Miko Olfindo, Kats Tan, and Bryan Ocampo. 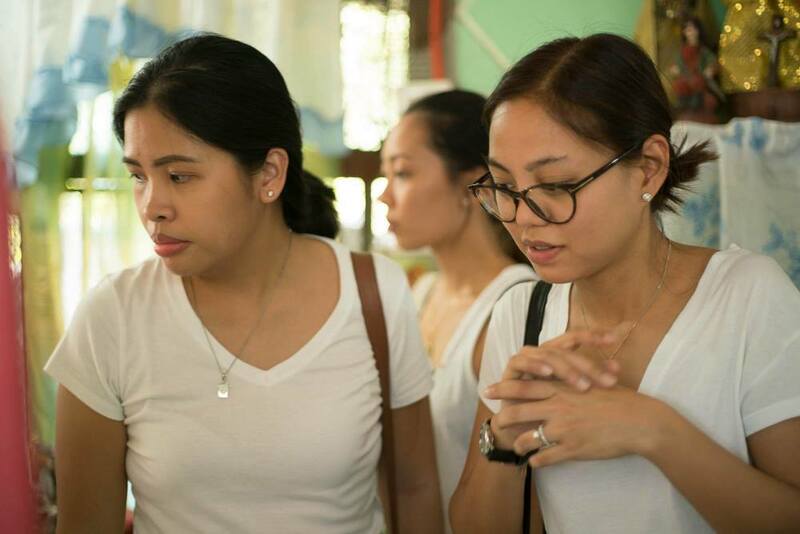 What I appreciated about our food tour was that it wasn't just purely about food- it was about Pampanga. Between meals, snacks and more snacks, we visited 3 churches (Betis Church, San Guillermo, Holy Rosary), each exuding its own magnificence and charm. We explored the workshop of the well-known ecclesiastical sculptor, Willy Layug, whose works are beautifully and hauntingly life-like. 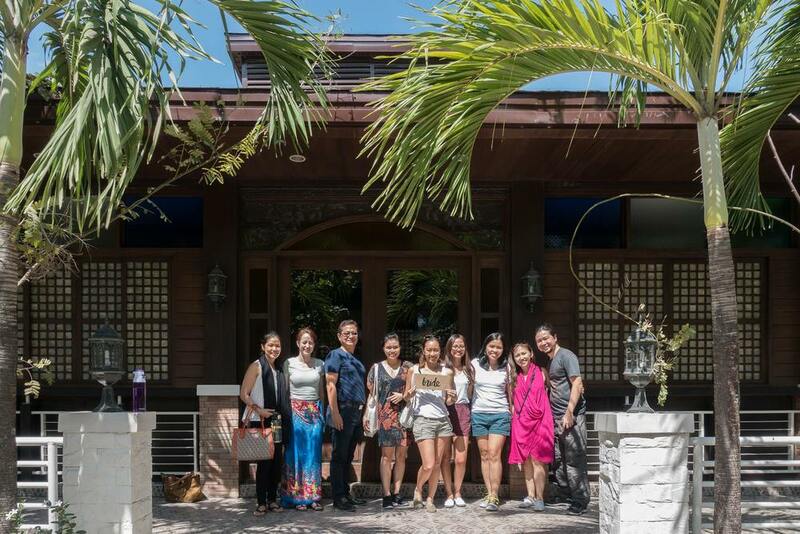 And last but certainly not the least, We visited the Pamintuan Mansion, a heritage house built in the 1880's that depicts the Filipino social life through its different rooms made into mini galleries. 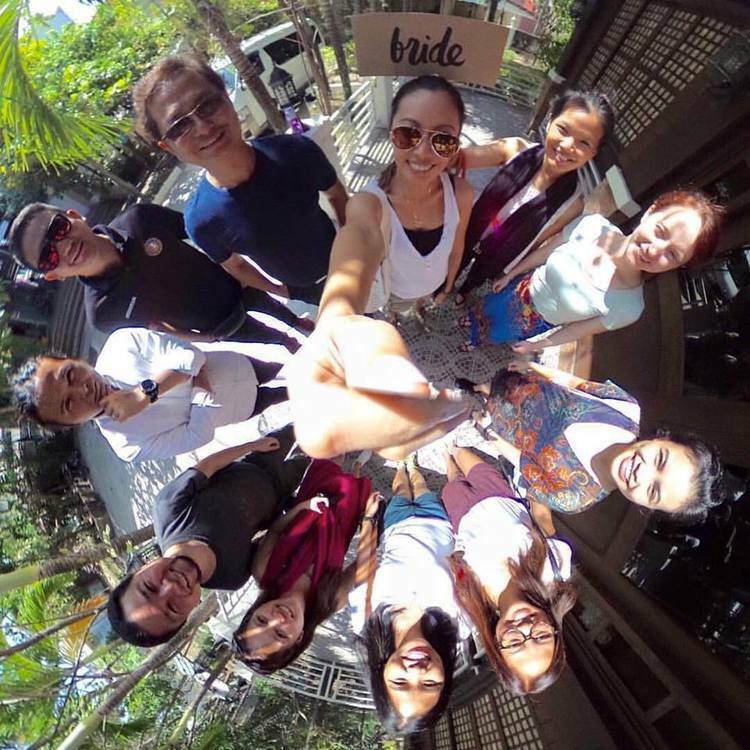 To know more and experience this wonderful tour, contact Bryan Ocampo at +63 917 899 3948. Photos courtesy of Miguel Olfindo, Kaye Olfindo, Miko Olfindo, and Bryan Ocampo.